Oh my goodness, these two. We had so much fun with them! 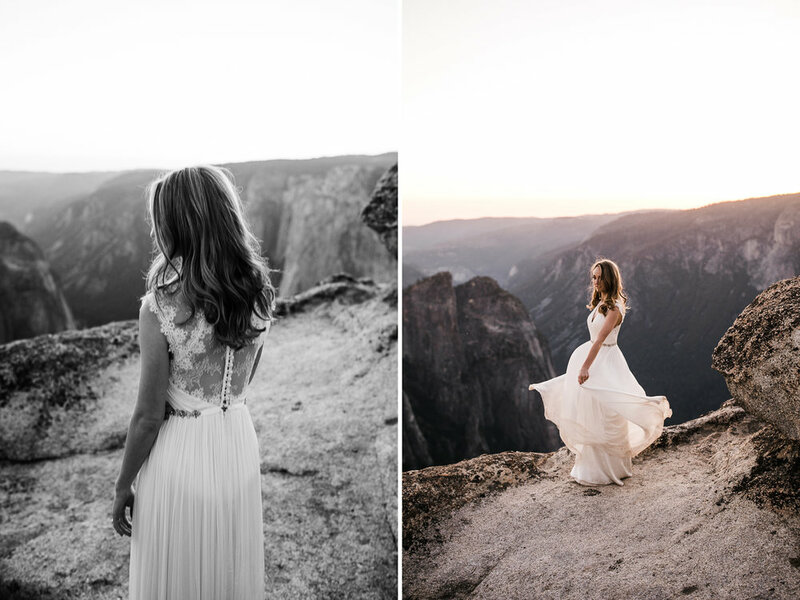 Michelle and Chas had an intimate wedding in Napa Valley, California with just their immediate family and chose to meet up with us in Yosemite National Park afterwards for some adventurous post-wedding portraits! 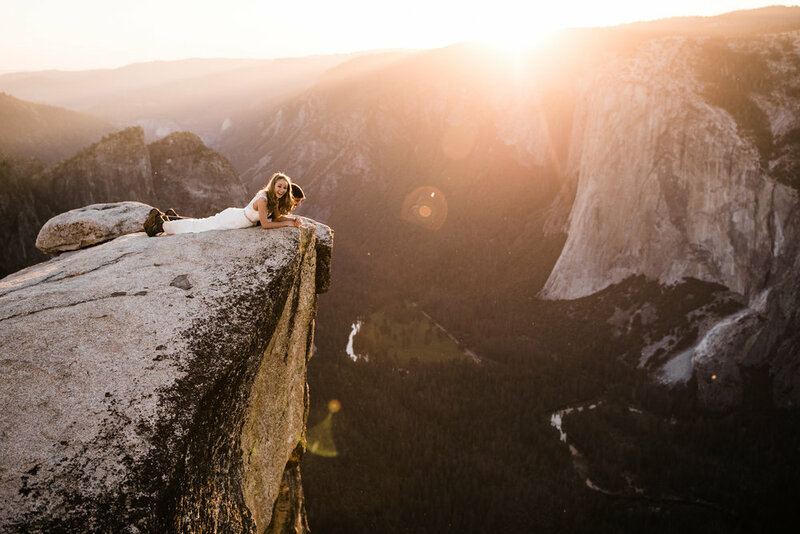 They wanted their wedding day to be focused on family and photos with them, so this adventure session in Yosemite was sort of their treat to each other as a way to focus on the two of them and no one else. 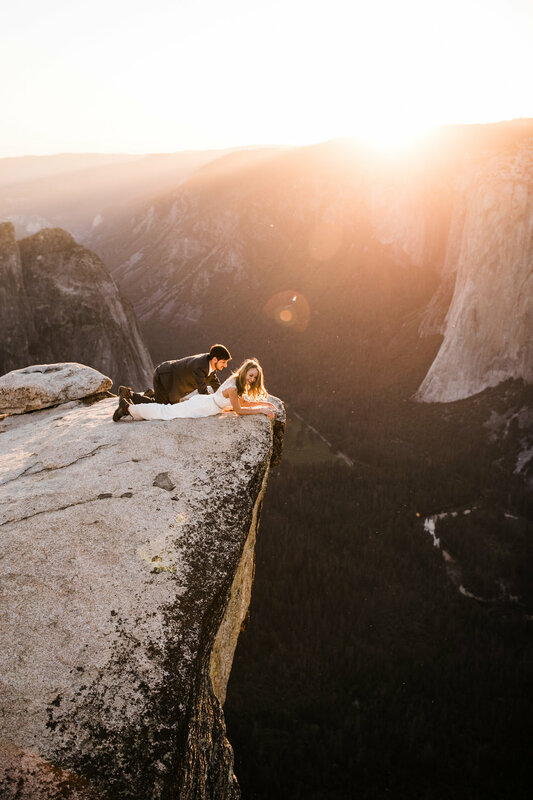 After I sent off their gallery, Michelle told me that Yosemite ended up being their favorite parks of their trip, which made the photo experience ever more special! 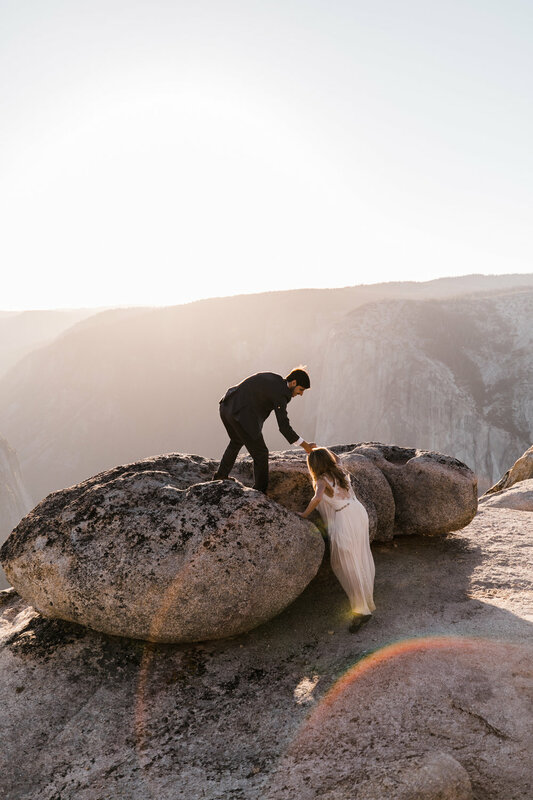 We met up with them in the parking lot and hiked out to Taft Point through the woods, avoiding mosquitos and asking them about their wedding day. The hike through the woods is so gorgeous, but nothing compares to the views at the end! It was so fun watching these two take it all in and see the overlook for themselves. 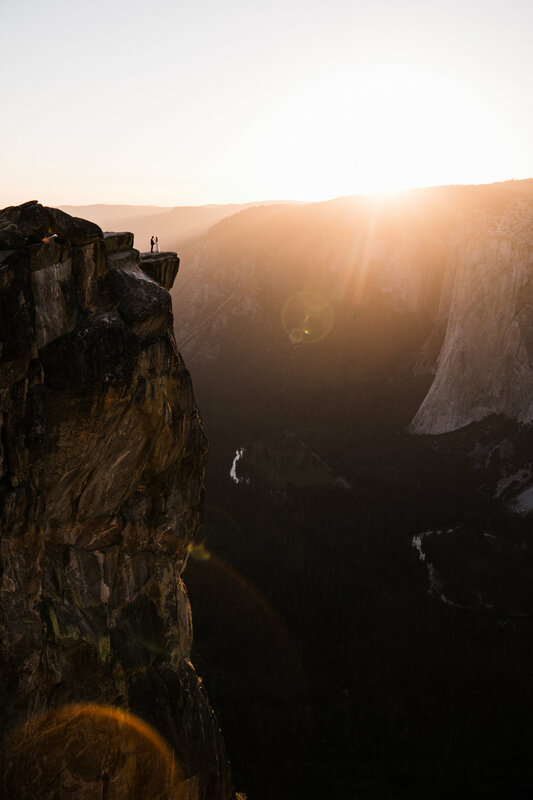 We watched the sun go down way behind El Cap, and watched the light stream through the valley before disappearing in the distance. They danced around on the edge and even laid down on their bellies to peek over the rim. It was adorable! 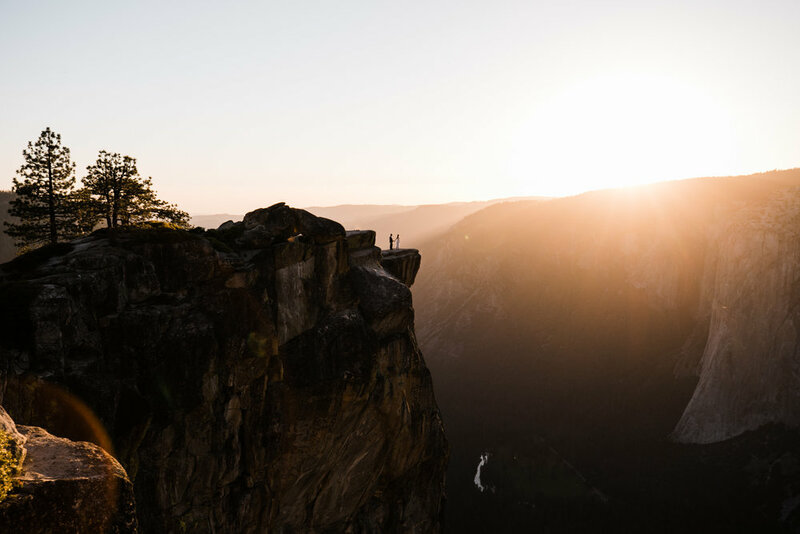 I’m pretty sure the one of them looking over Taft Point is my favorite :) As the sun went down, they cuddled up and watched the colors change and disappear. We hiked back to the cars in the last bit of blue light and didn’t want to say goodbye at the end. It was so fun hanging out with these two, I hope we get to see them again!